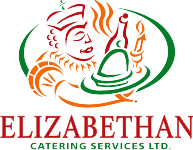 Late Lunch - Elizabethan Catering Services Ltd.
A Late Lunch is a wonderful way to finish off a perfect evening for you and your guests and is especially important if liquor is being served. There are many different options, and traditionally, this meal has been Buns, Cold Cuts, Cheese, Pickles etc. However, Elizabethan has catered an endless list of more interesting options that are worth looking at. You just to have to imagine something different. A Pasta Bar. Pizza. Breakfast. Beef on a Bun etc. etc. Check out our selections and see what you think? There are many suggestions in this menu selection and hope that we have managed to come up with some special ideas for your late lunch. This selection can only be chosen following a main meal catering by Elizabethan. It is recommended that the guest numbers for late lunch be 75% of main meals attendees. DISPOSABLE TABLEWARE. CLIENT TAKES HOME LEFTOVERS WITH THEM FOR THIS MENU. This is a standard late lunch cold menu, but we are open to any suggestions from you, regarding different choices. Suggestions for a hot late lunch are listed below. We do get asked many questions about hot late lunches and they can get quite complicated (and expensive) if they are not thought through properly. A hot late lunch is certainly a nicer one for sure, and it does create an “unexpected surprise” for the guests, without a doubt. PLEASE CONSULT SALES ASSOCIATE FOR SUGGESTIONS AND PRICING. WE DO COOK ALL HOT FOOD ITEMS FRESH IN OUR KITCHENS, SO CHEF CHARGES AND TRANSPORTATION FEES WILL BE IN EFFECT. Hot and spicy chicken wings are perfect finger foods for late lunch menus. Also available in mild and barbecue. Oriental flavour with crisp vegetable filling. Traditionally served with soya sauce and plum sauce to dip. Perogies with a twist. Everyone loves perogies. Everyone loves bacon. Bacon wrap a perogy and you have rave reviews. Served with salsa, sour cream and guacamole. Grated cheese to finish. Served with hummus, triple olive feta & salmon camembert dips. A traditional cheese and egg tart with bacon, onion and cheese. Also available as a vegetarian option. 9” tart cut into 6 pieces. Light flaky pastry wrapped around a spicy sausage filling, with honey mustard sauce. signature premium sausage. Garlic, polish, ham, double smoked. Served cold. Don’t laugh too loudly as we have served this many many times. Scrambled eggs, bacon, beef sausages, pancakes or waffles and hash browns with all the fixings. Everyone’s favourite. Can be regular or spicy with crispy bacon. Taco shells, served with ground beef and ground turkey, shredded cheese, lettuce, diced tomatoes and onions, salsa, chillies, sour cream and all the fixings! Steaming hot baked potato (60 count), with an assortment of fillings. Tuna, bacon, chili con carne, fajita chicken and beef, sautéed mushrooms, grilled onions, diced tomatoes and roasted peppers. Choose either meat or vegetarian, or a combination. Topped with a three cheese mixture and baked. Served with warm garlic bread. Served with both meat sauce and alfredo sauce. Served with warm garlic bread. Grated parmesan on the side. Popcorn, candy floss and corn dogs. Why not? A little different than the norm! PLEASE BEAR IN MIND THAT ALL HOT MIDNIGHT LUNCH ITEMS ARE PREPARED FRESHLY IN OUR KITCHEN AND BROUGHT OUT TO YOU JUST PRIOR TO THE MEAL. THIS REQUIRES A SPECIAL DELIVERY AND MAY REQUIRE A CHEF TO COME IN AND COOK THE ITEMS FOR YOU.